Imagine smiling and laughing freely, showing off brilliantly white teeth. Don’t live with a smile you feel like you have to hide. Just an appointment or two may be all that separates you from the smile you deserve! Why Choose Torrington Dental Care for Cosmetic Dentistry? 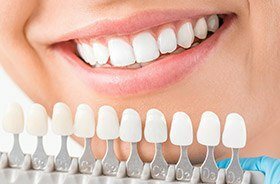 If you are unhappy with teeth that are damaged, stained, or otherwise imperfect, porcelain veneers are a very popular and effective solution for creating comprehensive smile improvements. This type of restoration is similar to a dental crown, but its structure is very thin in nature so that it can cover just the front, visible surfaces of the teeth instead of the entire structure. In just a few appointments, patients can achieve a smile that helps them feel more confident than ever before. No-Prep veneers (also known as Lumineers) are like regular porcelain veneers but require less preparation, or reduction, of the tooth. These contact lens-sized “smile shapers” are adhered to the front surfaces of your teeth, painlessly giving you a beautiful, bright, and straight smile in an instant. Most of the time, there are no injections or drilling involved! Find out if you are a candidate. Contact us today for your complimentary consultation. When it comes to rebuilding decayed and damaged teeth, our dental practice is proud to offer the best of both worlds – reliable, long-lasting durability and premier aesthetic value. We offer several top-of-the-line brands for metal-free restorations, including Emax®, Empress, and Zirconia. These new additions to your smile will be virtually indistinguishable from your natural dental structure in look, feel, and function. Their 100% biocompatible structure is also ideal for oral comfort and reduced sensitivity. Bonding is an easy and fast method for correcting relatively minor smile flaws, such as chips in the enamel or spots of stubborn discoloration. Our team will apply composite resin (the same material we use for tooth-colored fillings) that’s been precisely shaded to match your enamel, molding it into a subtle, aesthetically pleasing addition that hides the requested area from view. In most cases, this conservative transformation will only take a single visit here in Torrington. If you are unhappy with your smile’s current shine, talk to our team about the possibility of using at-home teeth whitening. This cosmetic service provides professional-strength results and can be used on a patient’s own schedule. 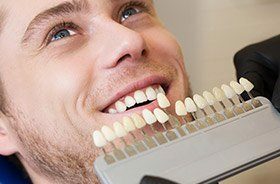 You’ll simply wear custom-made mouth trays combined with a powerful bleaching gel as directed, and within two weeks, the changes should be beautifully noticeable. 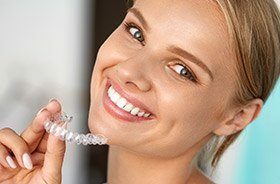 If you’ve dreamed of achieving straighter teeth, but just can’t commit to the idea of wearing metal braces, Invisalign Clear Braces is an excellent alternative. 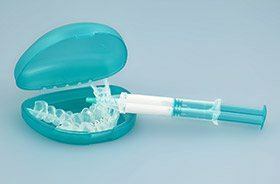 Instead of brackets and wires, patients wear custom-made aligners crafted from clear plastic. Each aligner represents a different stage of tooth movement, and the patient’s only job is to switch between them as directed. Because they’re removable, you will also be able to continue eating your favorite foods and practicing oral hygiene at home like normal. 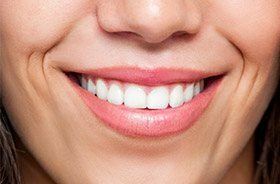 Overly “gummy” smiles can take away from a person’s appearance and unnecessarily hide beautiful dental structure. At Torrington Dental Care, we can enhance the natural gum line through aesthetic contouring. Our state-of-the-art soft tissue laser precisely eliminates unnecessary tissue from the mouth and can correct any significant symmetrical errors, creating a more pleasing and even shape that complements the teeth wonderfully. 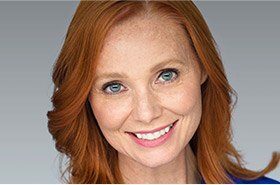 If your aesthetic concerns and goals are more extensive than what a single treatment can accomplish, Dr. Kuzmin would be happy to sit down with you and discuss the possibility of a personalized smile makeover. This plan will involve whatever service options you need to achieve your ideal look, precisely arranged and scheduled so that they will yield the biggest benefits in record time.